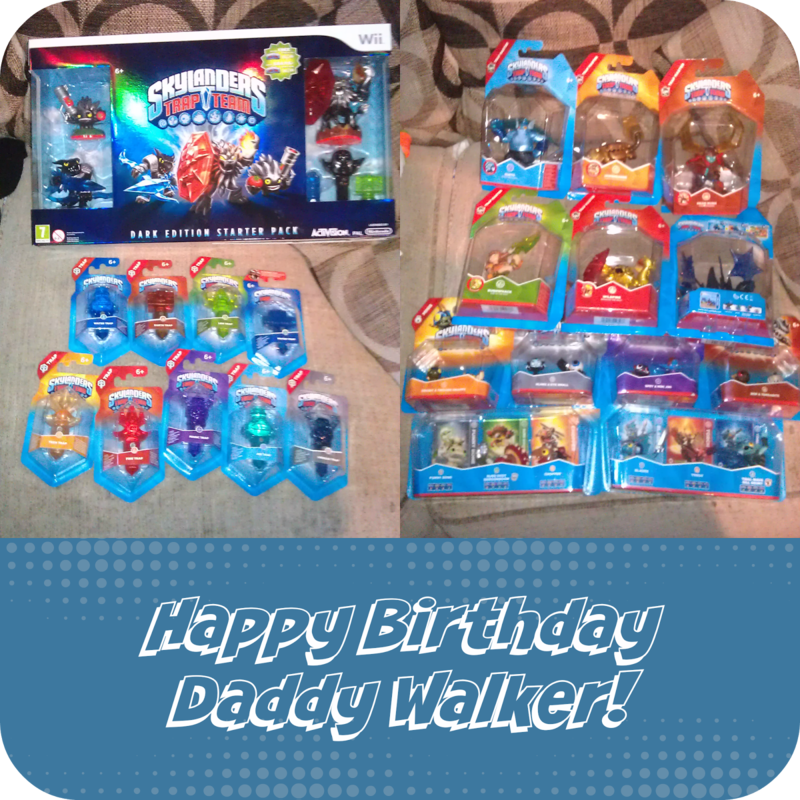 Hubby's Birthday aka Skylanders Trap Team Day! We have all - me, Hubby, and the kids - been jumping up and down impatiently for Trap Team for MONTHS! The kids, especially Tom, have been watching tons of promo stuff on YouTube, and we adults (I use the term loosely) have been counting down the days since before the Summer. Luckily for us, Trap Team Day also happens to be Hubby's birthday! So I had a good excuse a perfectly valid reason to spend an obscene amount of money on Skylanders merchandise. For months we have been scouring the interweb looking for exclusives, best deals, "delivery on the day of release", and so on. We also bagged a wee discount from our local Game store in exchange for some Twitter promotion - social media truly is a wonderful thing and our local Game store staff are genuinely FAB. Most of this has been stashed for Christmas, a good chunk is Hubby's for his birthday (the game itself for example) and we all have a new character or two to play with right now. Hubby took the day off so he could collect our Game store order, I stayed home to receive the online orders, and we spend the day getting well stuck in to the game before Jack & Tom came home from school. At this point I lost my controller to Jack!